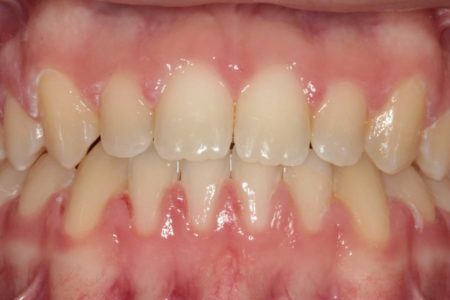 The path to straight teeth and a great smile has to start somewhere. Below are some of those journeys and we are positive we can create the same results for you! A lot of people have crowding of their teeth. In fact, this is one of the most common things we see here. This patient of ours had moderate upper and lower crowding. Open bites can occur for a number of reasons. The most common are thumb sucking and anterior tongue thrusts. 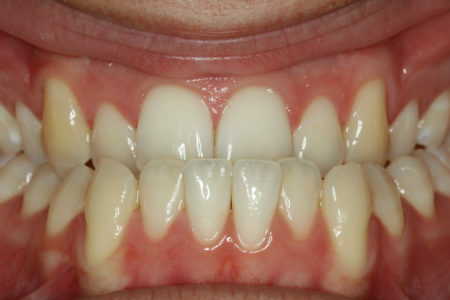 This patient of ours was treated with our ceramic braces and a special appliance to help close the open bite. 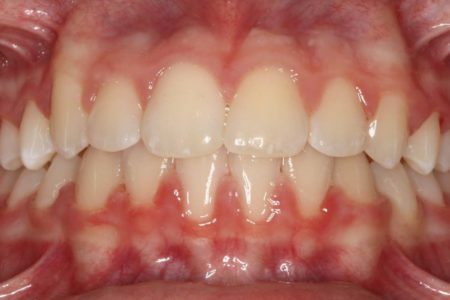 Deep bites are another common problem we see here and can lead to problems with gum tissue and wear of the teeth. 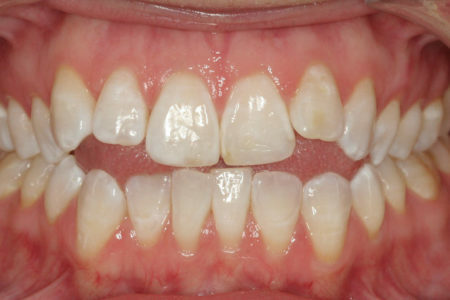 This patient of ours was treated with our metal braces. 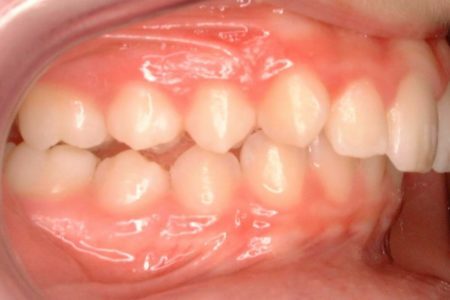 Some people are born without all of their adult teeth. 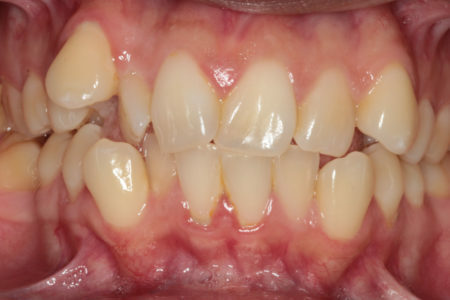 After we corrected this patient’s crowding and deep bite, we created space for his dentist to place a temporary restoration. 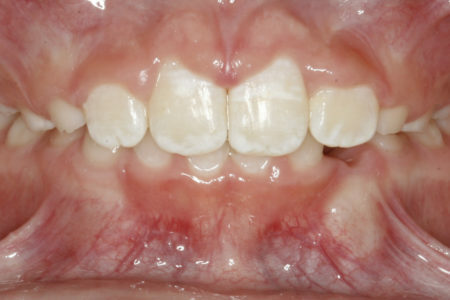 When he is older, this patient will have implants placed where he is missing these lateral incisors. 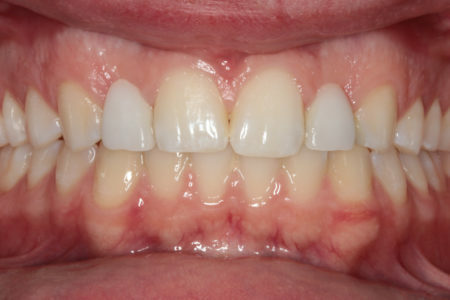 An underbite, also sometimes called anterior crossbite, can be due to a number of different things such as disproportionate jaws, or improperly aligned teeth. 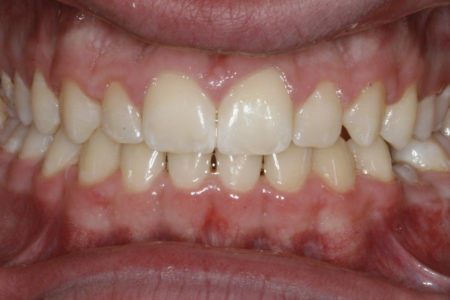 This patient of ours had an underbite that was causing him jaw joint discomfort and excessive wear on his teeth. 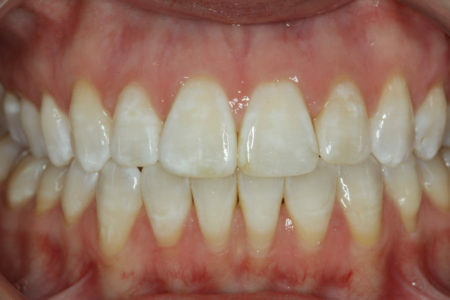 He was extremely happy with the results of his treatment. 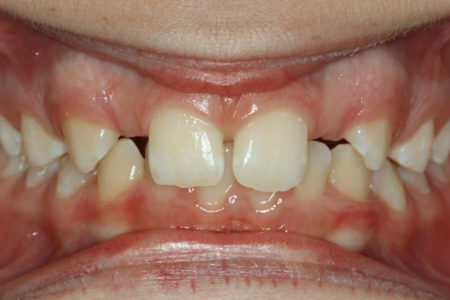 At age ten, this patient had a big overjet with the top teeth protruding beyond the bottom. He had two phases of treatment. The first helped his jaws to grow more harmoniously and the second aligned his teeth and bite. 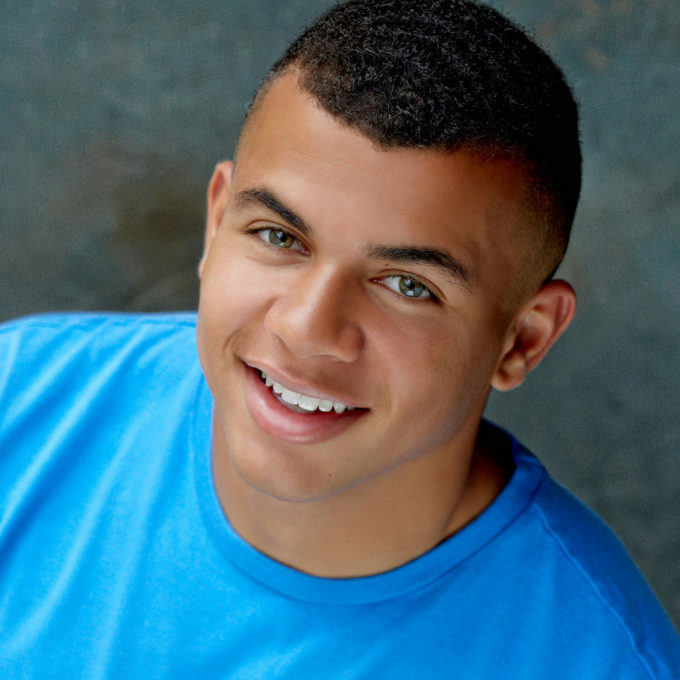 At age 13, he was proudly displaying his new smile. 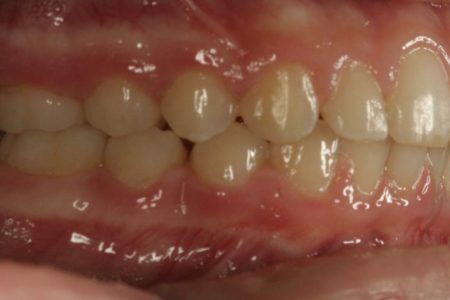 This patient’s parents were concerned about both esthetics and the health of the erupting permanent teeth when they brought him to the orthodontist at age eight. 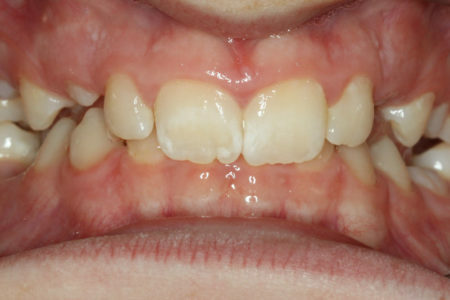 The lower front teeth were crowded and touching the top of the mouth, and the upper front teeth were extremely displaced from their normal positions. 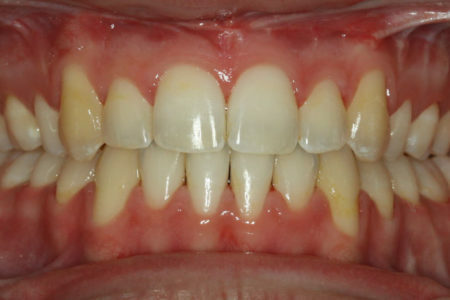 After 12 months of Phase-One treatment with an expander and partial braces, this patient’s appearance and dental function were vastly improved. 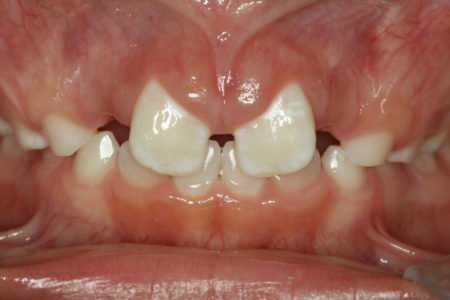 Crossbites are seen when the bottom teeth are further out relative to the top teeth. 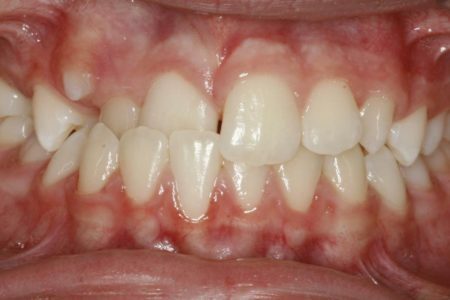 They can occur on anterior or posterior teeth and can lead to a number of problems including jaw pain and excessive wear of the teeth. 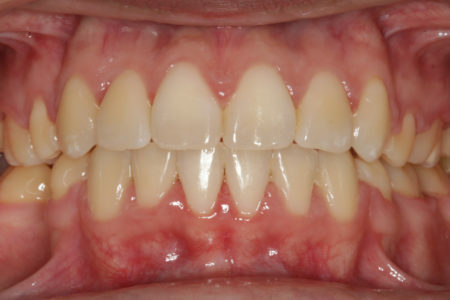 This patient’s crossbite involved the anterior teeth and was corrected with our ceramic braces. 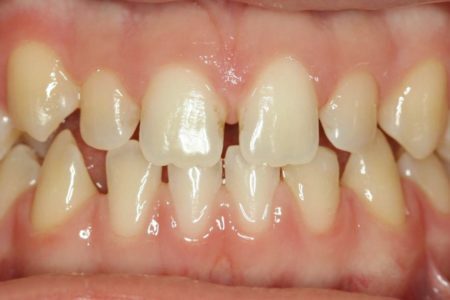 Sometimes, an expander is used to correct a crossbite if there are many teeth in crossbite.